As a first-grade teacher in Chicago’s Lavizzo Elementary School, developmental psychologist Terri Sabol noticed some of her students were already behind on the first day of school. “It felt intrinsically unfair that their circumstances had already led to a place to where they were behind before they even started,” Sabol said. She had been assigned to the then-failing school as part of Teach for America. Several years after leaving to get her PhD at the University of Virginia, Sabol said the school had a “complete turnaround” and is now held up as a success story. It is the idea of change that guides Sabol’s thinking—and rethinking—of early childhood education issues. She examines how classrooms, families, and neighborhoods each play a role in a child’s development. When studying preschool quality, previous research has often emphasized the teachers’ qualities and characteristics, rather than a child’s individual engagement in the classroom. Yet many differences can exist within the same class. “So ‘Joey’ might be having a great time in a particular classroom, but ‘Shelly’ isn't,” Sabol said. So how can we understand “Shelly” within the context of overall classroom quality? 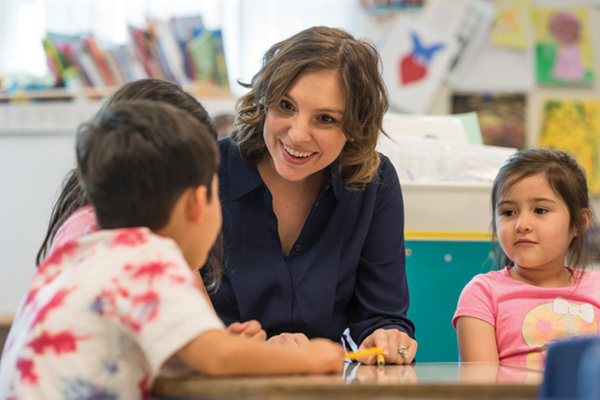 In one study of 211 low-income, racially and ethnically diverse 4-year-olds in 49 preschool classrooms, Sabol and her colleagues take a different angle and measure children's engagement by observing their interactions with teachers, peers, and how they perform on certain tasks. Examining average classroom experiences can help teachers to increase classroom quality, but such broad examinations can miss how individual children differ in their experiences from an average student, the researchers noted. After accounting for classroom factors and support, Sabol and her colleagues discovered that a child’s individual engagement was related to his or her developmental gains. Children who positively engaged with teachers and their classmates improved their literacy, language, and self-regulatory skills. Children who were prone to more behavioral problems or a lack of self-control performed worse. Almost all state-level preschool rating systems include family engagement as an indicator of early childhood education quality. But Sabol says our current method of measuring family engagement—parents’ interaction with and support of their child’s education and development—does not show the complete picture. Some rating systems, says Sabol, only examine things like whether or not childcare centers have bulletin boards with fliers offering community resources. “It's very passive, it's very undynamic and really doesn't align with our developmental theories of the ways in which we think families affect children,” she said. Based on qualitative interviews with childcare providers in Illinois, Sabol, IPR research associate professor Teresa Sommer, former IPR research assistant Amy Sanchez, and IPR graduate research assistant Andrea Kinghorn Busby, a doctoral student in the Human Development and Social Policy program, propose a new rating system that tracks four types of direct services to parents: parenting classes, family support, social capital activities, and human capital services. In other words, their proposed rating system examines whether or not early childhood education centers offer opportunities for parents—such as GED classes, emergency housing, food assistance—that will ultimately benefit children, too. Sabol and her colleagues are working with the state to see how to better align the current rating system with family services and engagement. Understanding how to improve outcomes goes beyond the classroom walls, and it’s one of the goals of Sabol’s Development Early Education Policy (DEEP) Lab at Northwestern, which takes a more quantitative approach to examine social issues affecting low-income children and families. The lab studies what happens within school walls, such as how classroom sizes might affect whether an intervention works. But the lab also explores whether or not what happens outside the school walls could have an effect, too. To do this, DEEP lab researchers use a new tool they developed, the iSNAP (School Neighborhood Assessment protocol), which uses Google Maps to take a “virtual walk” through neighborhoods and assess their characteristics. “What's exciting is that technology has really allowed us to characterize neighborhoods in ways we weren't able to before and are really aligned with the ways in which we think children grow and develop,” Sabol said. Like the DEEP Lab, Sabol said IPR has given her the opportunity to work across disciplines to think differently about her research.